A lot of people think that antiviruses are only for their computers or only for Windows machines, but this can be a tragic mistake to make. The truth is that even relatively stable operating systems like iOS can be subjected to viruses, and while they are not as rampant as what you might find on Windows PC's, you should still take steps to protect your iPhone or iPad from malware. If you don't take precautions, you could find yourself having to deal with intrusive ads that pop up on your phone or, worse, a security issue in the case of spyware. In the interests of keeping yourself safe when using your favorite devices, here is a list of top 5 free antivirus for iPad / iPhone that can protect your privacy. McAfee is a big name in security since the early days of the Internet, when viruses were passed around easily among inexperienced users. Nowadays the world has changed, but threats to your privacy have become more sophisticated. 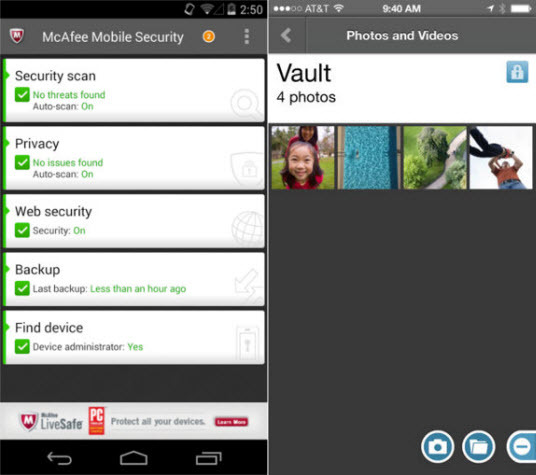 McAfee Mobile security offers many different solutions in one app, including backing up your data, encrypting your phone, and restricting app usage behind a PIN number. No, it's not a traditional virus scanner, but it works well to keep an eye on anyone or any app that may be taking control of your device.It can be regarded as the best antivirus for iPhone and iPad. Like McAfee, this app offers a host of security features that help save your device from being lost or stolen, but it also constantly monitors apps to make sure they aren't engaging in malicious activity - the very definition of a virus. It also helps to protect your personal information to make it less vulnerable to identity thieves. 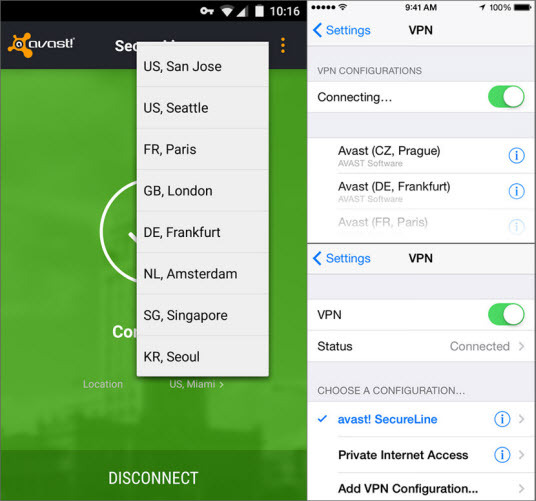 This might just be the best antivirus for iPad because of its constant monitoring. 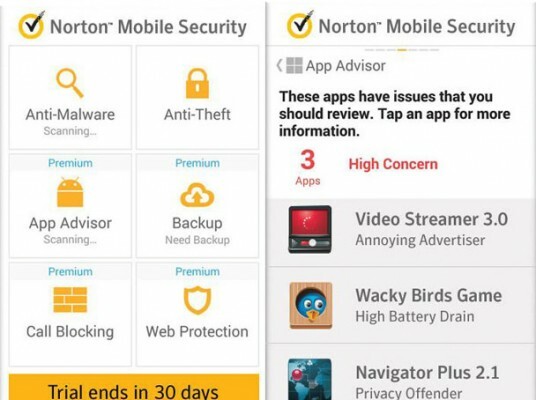 Another famous name in security, Norton's mobile offering provides several features to keep you safe fro malicious activity. A privacy protector, anti-phishing web protection, and a malware scanning feature are just a few of the things that this well-rounded app has to offer. If you've ever had a PC, then you've probably heard of Avast's security software. The iOS version has some interesting privacy-enhancing features. It encrypts your incoming and outgoing traffic to avoid snooping from third parties and it also offers a VPN, which enhances both privacy and your ability to bypass geographic restrictions in content. 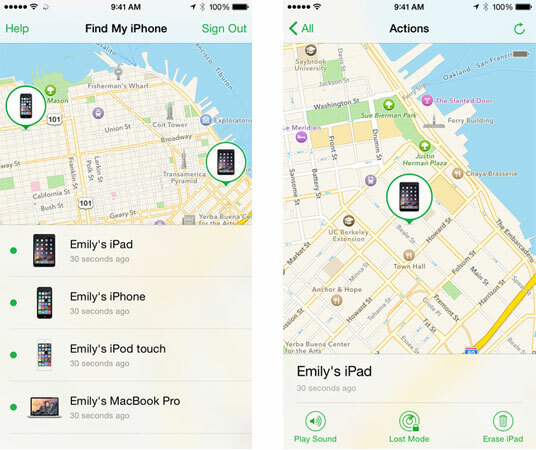 This app provided by Apple to help you find your iPhone or iPad which has been misplaced. Simply sign in the app with your Apple ID. 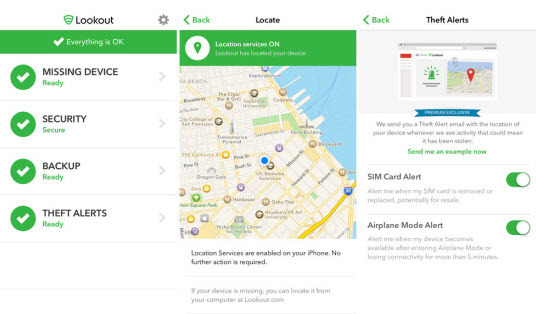 Once your iPhone or iPad is missing, it can locate your missing device on a map. Besides, you can also remotely lock your missing device, play a sound, display a message and also erase all data on it. What can we take from all of this? Well, nowadays, your biggest vulnerability is probably the private data that you send out into cyberspace. 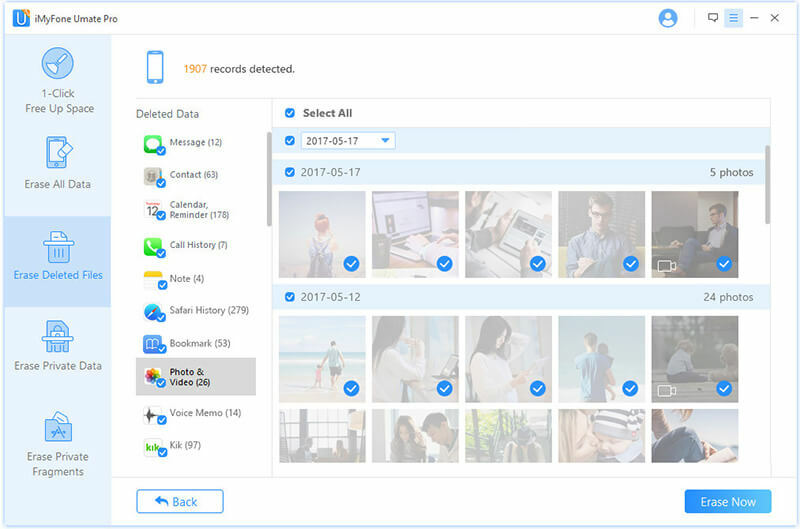 Apart from using antivirus for iPad or iPhone, one way to keep that secure is to employ an software that will help you erase all of the personally-identifying information on your iPhone or iPad if you need to. When you want to give away your iOS device or sell it to another person, and you want to eliminate the possibility that they might steal your identity. When you just simply delete private personal data, like messages, contact, photos, WhatsApp, note, etc., and you are worried about the security. When you want to erase all of the data on your iDevice, and you want to do it in a secure and hassle-free manner. When you want to free up a lot of space. iMyFone Uamte Pro's interface is user-friend for most users. Its instructions are easy to follow. To permanently erase personal data, it just requires 3 steps to make it. Step 1: Connect your iPhone or iPad to computer and launch iMyFone Uamte Pro. Step 2: Choose the erase mode like "Erase Deleted Files" and hit "Scan" button. You can preview the scanning result and select. Hit "Erase Now" button. Step 3: Type "delete" into the box to confirm. If this sounds like you, check out iMyFone Umate Pro and start taking your security seriously.